Will Fedor Emelianenko retire after his loss to Bigfoot Silva? It's yet to be decided. For now, the Emperor is on the list of top alternate for Strikeforce Heavyweight Grand Prix. After suggesting an upcoming retirement, Fedor Emelianenko changed his tune in Twitter yesterday. Following a doctor’s stoppage loss to Antonio Silva last February 12, the Russian fighter stated in a series of tweets that he wanted the fight to continue. In addition to this, Fedor Emelianenko is still undecided whether to leave the sports or not. It should be remembered that the much-heavier Antonio Silva got Fedor Emelianenko on the mat, and rattled the Russian Emperor in a ground-and-pound assault. And before the third round bell strikes, Fedor Emelianenko’s right eye became badly swollen. Hence, the cage-side physician declared that he can no longer continue. As a result, Antonio Silva earned a TKO win. 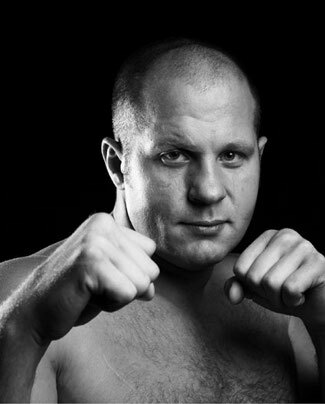 But despite the loss, Strikeforce CEO – Scott Coker – stated that Fedor Emelianenko could be a top alternate in case a spot opens for the Heavyweight Grand Prix tournament. Should Fedor Emelianenko continue fighting? Share your opinions by leaving a comment.